A little girl has been slain. Is it Special Agent Sam Jameson’s fault? Homeland, Justice, and a powerful US Senator think so. And Sam is afraid they might be right. She’s been suspended, and she even faces an indictment. 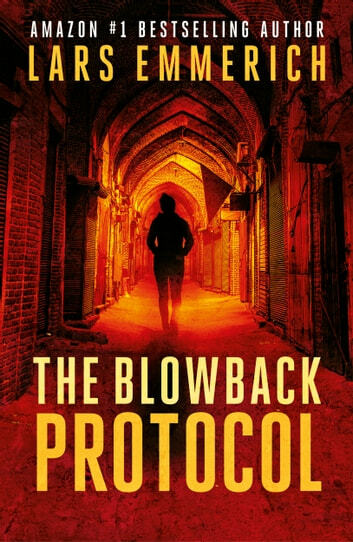 With her beau stuck on an overseas deployment, she’s left alone with her guilt, remorse and heartache - until a cryptic and terrifying message propels her out of her darkness and into a morass of international intrigue. Along the way, the clues start to add up, and Sam begins to wonder: was the little girl’s tragic death an accident, or something much worse? And what does the CIA have to do with the horrible tragedy? Halfway across the globe, Sam runs into someone from her past. But something’s different about him, and it quickly becomes clear he’s in a desperate struggle of his own. Three important people in his life have been kidnapped and face a brutal death — that he himself has set in motion. Are all of their fates intertwined? Are Sam and the man from her past fighting the same battle, against the same adversary? Can they unravel a vast and deadly conspiracy in time to save their own lives? 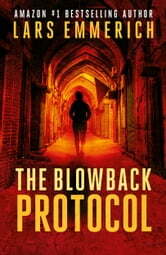 Blowback is a classic spy thriller in the tradition of the best espionage novels from Tom Clancy, Robert Ludlum, Daniel Silva, Mark Greaney, and Frederick Forsyth, told with the entertaining style and flair that have made #1 Bestselling Author Lars Emmerich one of the thriller genre’s most promising stars. Mark Greaney (the Gray Man) Tom Clancy, Robert Ludlum (Jason Bourne), Daniel Silva (Gabriel Allon), Frederick Forsyth, Barry Eisler, Vince Flynn, David Baldacci, and Brad Thor. Q: You have developed personal relationships with your readers over the years, which is a little unusual in the publishing business. Was that a conscious choice? A: Absolutely. Books are intimate things. They occupy a person’s mind and thoughts for hours at a time. Good books leave a lasting impression, and great books might even change the way we think about things, but all books are a relationship. I always wanted a conversation. I wanted to learn from my readers, to hear what was on their minds, to listen to their criticism and hopefully improve the books I write. It’s been extremely rewarding, and I’m hopeful it can continue for years to come. Washington, DC, the District, Izmir, Tripoli, Sam Jameson, Peter Kittredge, James Hayward, Bill Fredericks, Artemis Grange, John Dunham, espionage, conspiracy, kidnapping, assassination, political, intrigue, mild non-graphic violence, crime, suspense, mystery, international mystery and crime, women sleuths, female spy fiction, CIA, central intelligence agency, Homeland, war on terror. This is a read-in-a-gulp book -- Sam and her new, unlikely "partner" stay awake seemingly endlessly because they both wind up barking at different sides of the same tree. This book had me inteested from the beginning. There were two storiesin the book but both were well writen. The stories merge half way through the book. I did not expect what happened in the ending making the book more realistc and even though it was fiction, the story read more true to life. I like the style with which Lars Emmerich writes. This was an excellent mystery. I have already purchased the next book in this series, "Burn." Lars has received high praise from his peers and I can certainly see why. He has writen more books but this was my first read. Now that I've read this book I will be reading others writen by Lars Emerich. I would definately recommend tis book.